Honor is a sub-brand of Huawei, Huawei has a wide range of best smartphones from budget to high end. Honor 8 is the latest launch and phone of Honor and the successor of Honor 7. But unlike Honor 7 the Honor 8 falls under the upper mid-range smartphones. In the current market, the OnePlus 3 is the strong contender for Honor 8. Let’s see Honor 8 review, how it perform and could compete OnePlus 3 or not. OnePlus 3 has been recommended smartphone under 30k price segment due to performance and specs except for the battery. Honor 8 really has an aesthetic design with reasonable size, the completely new unibody metal design sandwiched between two curved glass gives it a premium finish. No doubt it looks incredibly good due to glass at both side but this also makes it prone to fingerprints. Also it quite slippery and can slip from one’s hand easily. At the face, it has LTPS(Low-temperature polycrystalline silicon) 5.2 inches full HD resolution display at 443 ppi. The color produced by the display are natural and punchy with great sharpness. The color produced by the display are natural and punchy with great sharpness. It allows changing the tone of color from bluish to yellowish with an option called ‘Eye’. This option is used to filter the blue light to give a soothing effect to eyes while reading or using the phone in the dark room. The viewing angles of the display are also great that allows to watch videos and play games on it without any color deformation. The weight of honor8 is 153g and can easily manageable by one hand. The space above the display has ear speaker and under the speaker grills notification LED is hidden which can only identify when it glows; the front camera and sensor are situated at the left of ear speaker grills. The beautiful embossed Honor logo is placed at space below the display. If we talk about the top above side, it used for an infrared emitter whereas at the bottom is for USB Type-C port (USB 2.0 speed) flanked by speaker grills at the right side and 3.5mm audio jack at the left side. The SIM and microSD card use a common Hybrid tray placed at the left side of the phone whereas the volume rockers and power on/off are at the right side. They are designed ergonomically with good tactics feedback. The navigation buttons are onscreen. 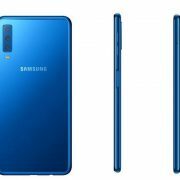 Coming to the back side which also finished with a glass, have the dual cameras, laser autofocus sensor, and dual tone flash at the left top back side. The fingerprint sensor is also great and very sensitive. The fingerprint scanner can also use for multiple tasks such as taking selfies, gesture, locking apps etc. Also, the button is pressable which triggers different functions such as voice recording, screenshot capturing etc. 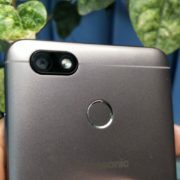 The Honor promoting this product by using its main feature i.e the dual cameras on the back side. It has dual 12-megapixel configuration means both cameras has 12 megapixels. The one camera captures the color while other is monochrome, Huawei claims that this will improve the picture quality and crispness. The aperture of a camera is f/2.2. The pictures captured by it, was very crisp, with a good amount of contrast and natural color. It balances the highlights and shadow in the image very well. The camera packed with a mode called ‘Wide aperture” that can blur the amount of background using a slider. The front camera is 8 megapixels that also did an excellent job for us. The low-light selfies were good with very low noise without losing quality but details were a little bit low in the night selfies. About videos it can shoot 1080 pixel video at 60fps but there is no 4K recording which is available in the OnePlus 3. Overall the quality wise the camera is very good but the front camera missed some points and details in the low light. The software of Honor 8 is a customized OS called Emotion UI or EMUI v 4.1 based on Android v6.0 Marshmallow. 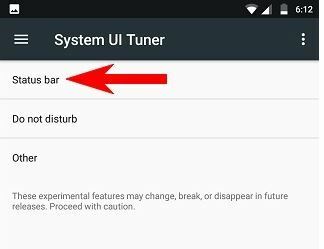 The EMUI is a single layered interface with lots of customization and improvements such as notification bar, setting shortcuts, icons, shortcuts at the lock screen. and much more. Honor 8 also packs with some gesture controls along ‘Smart assistance’ which is basically a voice control. The very interesting gesture of Honor 8 is Knuckle sense. This gesture will allow taking screenshot or screen recording using knuckles. It comes with lots of pre-installed apps such as a smart controller which is a basic app to control the IR devices using IR blaster. Also, there is no lag or any issue while performing any multitasking. Under the hood, the Honor 8 packed with HiSilicon Kirin 950 octa-core which has equivalent performance to Qualcomm Snapdragon 820. For multitasking, it has 4GB RAM and 32 GB for storage that can expandable up to 128 GB using Hybrid SIM card slot. For connectivity, it gives dual-band Wi-Fi b/g/n/ac, Bluetooth 4.2, USB OTG, NFC and 4G LTE . VoLTE is yet not available in Honor 8 but the company claims it will enable in future using software update. We used this phone for multitasking and high graphics games like Asphalt Air born and Mortal Kombat X both works perfectly without lag. There is no heating issue but sometimes we faced a little bit heating while using the camera. The call quality and usage of 4G on this phone was also fine without any glitches. Also, the media playback on this was pretty smooth, it plays the 4 K video smoothly and the speaker with DTS support gives decent output. Both side glass no doubt gives a premium finish to the phone but it also makes it slippery. While using this phone, it slipped from our hand many times, it falls approximately from 5 feet, but this accidently drops handles by honor 8 easily without any damage. Yes, while this drop we got a little scratch on the display this means it is not scratch proof. Honor 8 use a 3000mAh battery to power its hardware. It supports fast charging feature and able to charge about 45% in just half hour using its own charger. On one single charge and with normal usage we able to extract a juice of one and a half from honor 8. In our video loop test at full brightness and volume, we got 7 hours and 4 minutes of runtime. In our Honor 8 review, we find out the phone designed very well with good specs. But if you compared the price and specs with a competitor like Oneplus 3 then it little tough for it to stand. Some missing features like FM, VoLTE and average camera along the slippery body with the price tag of Rs. 29,290 made it low prefer phone as compared to OnePlus 3 and Asus Zenfone 3. However, if you want good processor, UI, good display, camera and battery that easily long last for a day then Honor 8 is for you. 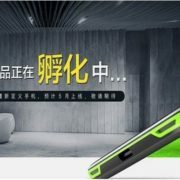 As Oneplus downside is the battery.